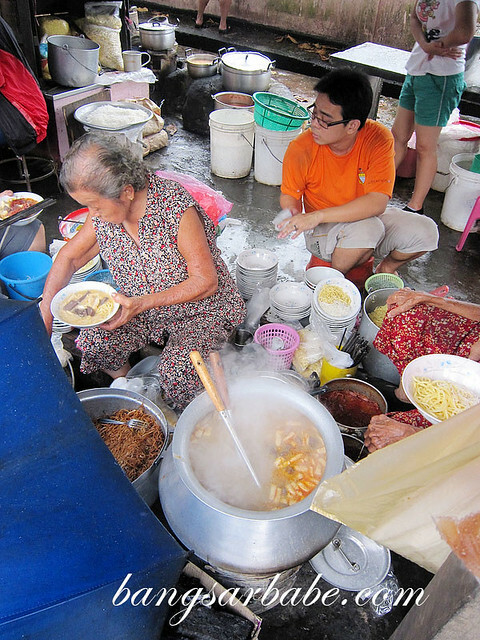 The curry mee from Air Itam market is very sought after by the locals, and the stall is manned by two elderly sisters. There is no signboard, so you will need to look out for the two sisters crouched on a tiny wooden stool, surrounded by pots of noodles, curry and condiments. You can choose to sit on the tiny wooden stool or at the tables next to a giant tree opposite the road. I was wearing a dress, so the latter was more ideal. 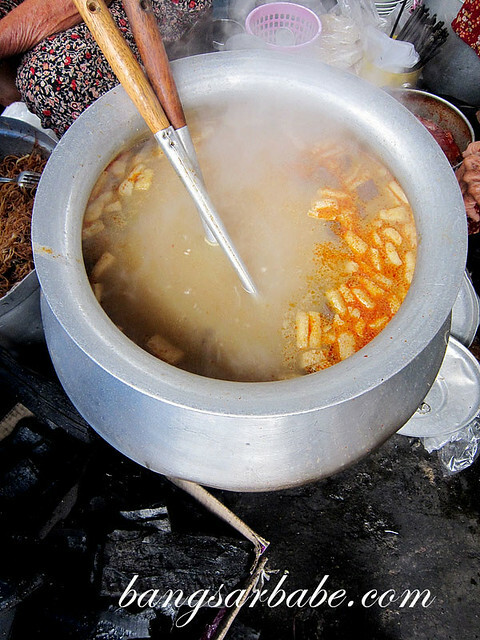 The soup is cooked over a charcoal stove and don’t expect the aunties to serve you – it’s self service here. 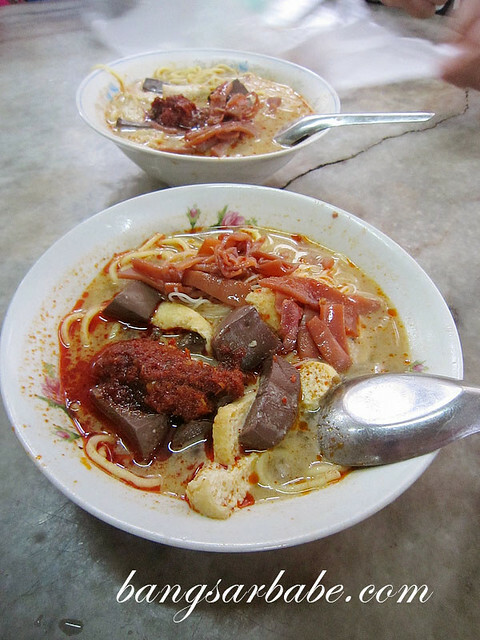 My bowl of curry mee came laden with cuttlefish, tofu puffs, beansprouts and blood cubes. It smelt very good and the noodles packed a lot of oomph from the sambal chilli. I also liked that the noodles had little alkaline taste and the blood cubes were cooked just right. Some places overcook this so the texture becomes rubbery and flavour turns metallic. The soup was aromatic and tasty, and a tad thicker compared to the other Penang curry mee I’ve tried. Good stuff! A pity the bowl was small. I’ll remember to order two bowls next time!